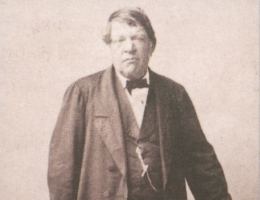 More than 180 years ago Matthias Noell obtained his blacksmith concession in Würzburg. The small craft business, established in 1824 has developed into an international Group of Companies in machine building and plant construction. 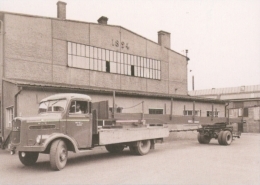 The craft business of Noell started into an exiting future with the repair and, somewhat later, the construction of stage coaches. It proceeded with great advances: in 1850 complete railway carriages were produced. In the following decades, the building of steel bridges comes to the fore, followed by steel construction at the turn of the century. In addition hydromechanical equipment and crane building had become a firm foundation of the company. The locations changed with the range of products. The smithy in the Neubaugasse soon became too small. 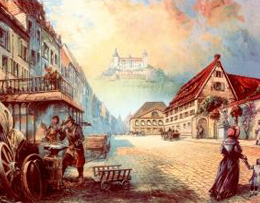 Passing through various intermediate locations, the head office of the company remained for very many years at the same address: from 1886 to 1973 it was located in the Nürnberger Straße in Würzburg. From 1974 the "Noellers" work in the new factory in the Veitshöchheimer Straße on the Würzburg industrial estate. Opposite, in the Alfred-Nobel-Straße the administration building is located, whose foundation stone was laid 1983. Within this time also the product areas Nuclear Service, Nuclear Technology and Magnet Technology developed another firm foundations of the Noell Group, of which by October 1st 2000 the Babcock Noell arised. Since October 13th the company operates under the name Bilfinger Noell.